The final of the international crossfit tournament Kyiv Battle 2019 is approaching, and on February 2-3, the athletes will participate in the fierce competition. The athletes are already beginning to think about their outfits to feel maximum comfort during exercises and have a spectacular look in front of the audience. In this article, we will give you some tips on how to properly choose an outfit that would be perfect both for the competition and for a regular crossfit training. Unlike fitness, clothes for crossfit require a more serious approach. 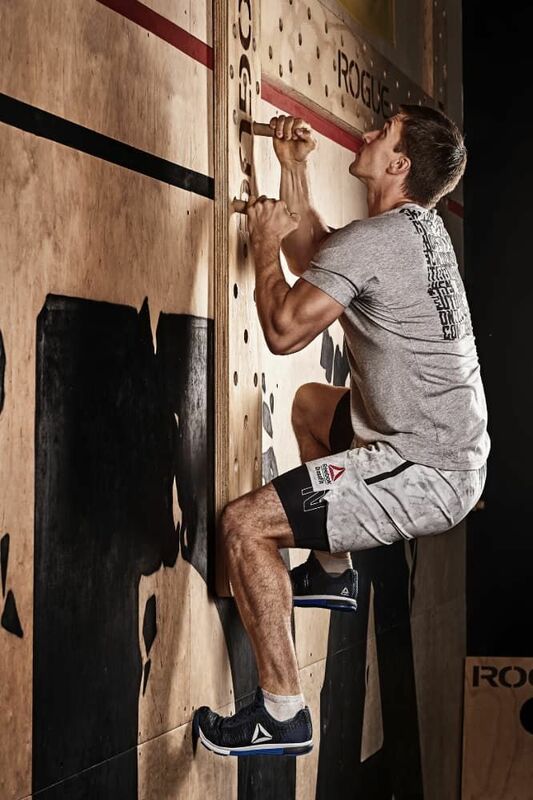 The main feature of crossfit is high intensity of training, so the key property of clothing should be wear resistance and durability of the fabric. This is especially true for shoes. Choose training shoes that fit you perfectly, preferably go to specialized stores. 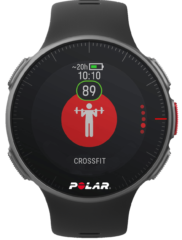 There you will be able to find many models created specifically for crossfit. Such shoes have increased durability and are equally suitable for use in a gym and on the street. It is important that the shoes are light, comfortable, can keep your heels fixed and not cause blisters during exercising. A good example is the latest refined version of the Reebok CrossFit Nano 8 Flexweave shoes. This is the first model that uses innovative Flexweave technology to help you experience incredible lightness during exercising. Besides, Nano 8 is noted for its strength, which provides even more comfort and safety in training. Thus, you can easily achieve balance between lightness and durability, avoiding any discomfort. Another important thing in training is the weight of the shoes and the material from which they are made. Nano 8 uses a weightless material with the upper part of the toe being very flexible, and the Powerlaunch toebox system ensuring correct foot position and a good grip on the surface for greater stability. During intense physical activity, these training shoes will be tightly fixed on your heel in such a way that you would not even notice that you are wearing anything at all. Intenses physical activity usually comes with abundant sweating, so choose clothes made from materials that can handle moisture. Natural materials are good and useful, but it is better to leave them for walks – they are not suitable for crossfit. Choose clothes mostly made of synthetic fiberss, because such materials quickly absorb and do not retain moisture. But even synthetic clothes can be different. We recommend buying clothes in specialized sports stores, as street market counterfeits are often made of low-quality material, which can cause allergic reactions and rashes, which does not happen with professional sportswear. If you like being comfortable performing any crossfit complex, choose compression clothes – shorts (for men) or leggings (for girls) will be perfect for you. Reebok CrossFit compression shorts, just like leggings, are made of Speedwick’s moisture-proof fabric. The leggings include mesh inserts under the knees that improve ventilation during any high-intensity physical activity, and the compression cut is tight and provides muscle support during training. The leggings also have an elastic band. Men’s shorts, meanwhile, have a very tight fit, which allows you to experience every move from the beginning to the end of the workout. A hard part of choosing clothes is finding the right size, but you don’t have to worry about it with crossfit. Everything is very simple here – we recommend choosing the most fitting clothes that will not restrict your movements and will be a kind of “second skin” for you. Comfortable clothes allow you to concentrate on exercises as much as possible, not thinking about having to fix your T-shirt. Crossfit is a sport for confident people, but why not add aesthetic appearance to your confidence? Good clothes will increase your enjoyment of the training and will stimulate your desire to workout on a regular basis. Nowadays the stores offer a huge variety of clothes of any texture and color, therefore you simply need to choose what you would like to wear as you conquer the sports Olymp. Additional accessories may include bands that protect you from sweat, various knee pads, wristbands, gloves for protection from blisters etc. Speaking of which, we recommend you to choose Reebok CrossFit Grip gloves. Made of durable materials with soft inserts on your palms, they will protect your hands during the most tedious CrossFit complex. The anti-slip surface will provide a sure grip during the physical activity. These gloves will definitely become your attribute for every training, and the lightweight mesh fabric will provide maximum ventilation. The innovative Speedwick technology instantly absorbs moisture from the hands and leaves an impeccable sense of dryness and comfort. Crosphite is a relatively inexpensive way to do sports and keep in shape, so your outfit is not as important as your desire. Do not look at expensive branded clothes, you can start with inexpensive sports pants, and then you can choose what you feel comfortable in and what you like.